Love this comforter set. Well made and very soft. This is so pretty!! The soft pink color and the white lace is more than i expected. It is 100% cotton and feels so nice. I think it is fairly priced. Usually for more money I have fond the material to be mixed fibers. All cotton is the only fibers I would sleep on. Thanks Overstock!! 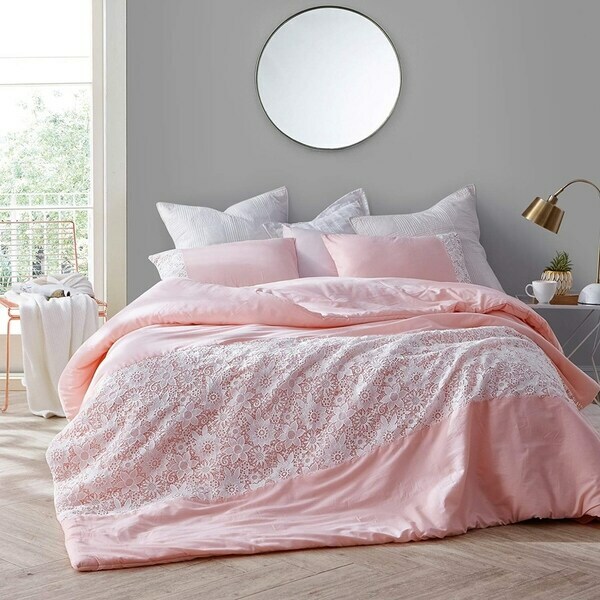 This comforter is beautiful. However it's more of a peach color than the picture.Very dainty and feminine. good quality.